The Colorectal Center Los Angeles is a premier facility providing all aspects of colorectal care, from diagnosis and treatment to full recovery. The medical and surgical team at our center has dedicated their lives to correcting physical ailments in others, and their results are the surest sign of that dedication. 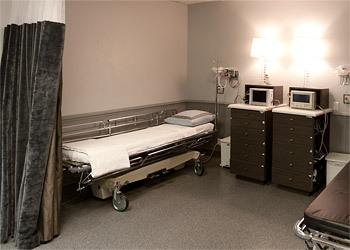 If you require colorectal care in the Los Angeles area, look no further than the Colorectal Center Los Angeles. As a private colonoscopy practice in Beverly Hills, we have achieved a new standard in colorectal care. From a diagnostic exam through a colonoscopy and all the way to surgical excision, colorectal treatment is delivered with a personal touch, treating our patients as the individuals they are, not just another surgery. At the Colorectal Center Los Angeles, we understand that peace of mind can greatly contribute to treatment success, and this is exactly what we give our patients in the most comfortable colonoscopy center Beverly Hills has to offer. When compared to a typical hospital experience, the difference is crystal clear. In addition to the personal, individualized care, our center also focuses heavily on results. Our doctors don’t look upon their craft as a career—they see it as a duty, and something that is to be delivered with a purpose, not for a paycheck. Because of this, these doctors have remained on the cutting edge of colorectal treatment technology, some even pioneering the way to more effective treatment. Shortly put, our center provides an experience that is drastically improved from an ordinary hospital experience. Our facility has been built around the patient and nothing else. If you may need a colonoscopy or colorectal care, please give us a call today to schedule a consultation. 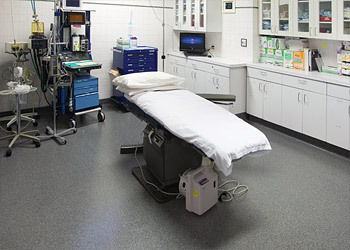 Compare the Colorectal Center Los Angeles to a similar treatment in a hospital. You wait in a large waiting room until it is your turn to get ready for your colonoscopy. Your colonoscopy is planned based on your schedule, and you are prepared for surgery as soon as you arrive. You are told to get to the hospital well before your scheduled time for colonoscopy because you will need to fill out a lot of paperwork. Your paperwork is handled before you arrive, and our staff helps with your insurance coverage before you come in for your colonoscopy. There may be quite a few sick people in the waiting area. Any wait you experience is in a pleasant, private lounge. You wait while the operating room is prepared for you. You are taken to the operating room as soon as you and the surgeon are ready. Your family and friends wait in a large, impersonal hospital waiting room. Your family and friends wait in our private lounge with cable television, coffee and free Wifi. If preferred, they can relax outdoors in our charming courtyard. If your family and friends get hungry, they can visit the hospital cafeteria. If your family is hungry, they have many Beverly Hills restaurants to choose from. You’ll enter and leave the hospital by going through large public areas. If you wish, you can use the completely private entrance to our facility to come and go without public notice.